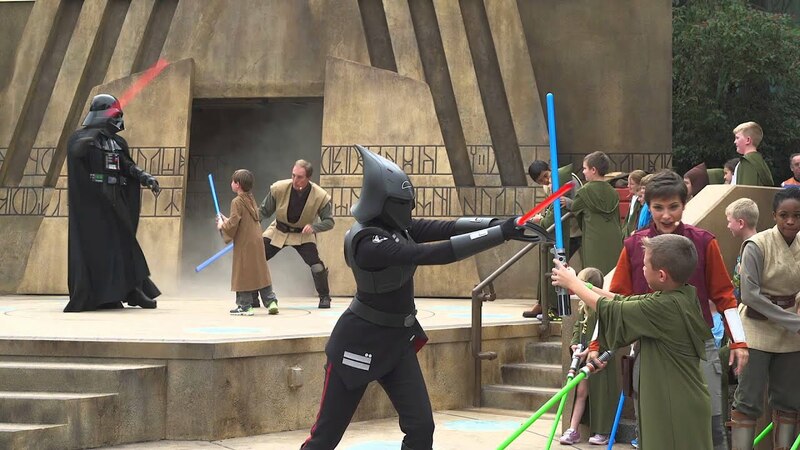 Sep 25, 2015 in "Jedi Training - Trials of the Temple"
The hugely popular Jedi Training Academy at Disney's Hollywood Studios will have its final shows on October 4 2015. The attraction will reopen later in the year as 'Jedi Training: Trials of the Temple,' and will feature an all new set and new characters. It is expected that the show will continue to be on the stage next to Star Tours. A new villain from the Disney XD series Star Wars Rebels will be part of the show. Like the current Jedi Training Academy, children will continue to be able to participate in the show with lightsaber training. Jedi Training Academy became a permanent addition at the then Disney-MGM Studios back in the fall of 2007 after a successfully test period in a temporary location.